There are incredible benefits to buying a wedding dress online, but it can be a scary prospect to buy a dress you can’t touch for your wedding day. If you’re careful, do your research, and are an informed shopper, you’ll be able to purchase a stunning wedding dress for a fraction of what you’d pay in a boutique. While you should be doing tons of research on your dress choice from silhouette to train to materials, you can do it all from the comfort of your couch. Whether it’s on your phone, laptop or tablet, you can do that research and make your final purchase from anywhere like on the way to work, during your lunch break, or on the way home. You don’t have to trek from one boutique to the next over the weekend to make your choices or try on dozens of dresses. Boutiques and wedding dress shops have a limited amount of dresses based on their square footage. The Internet doesn’t have that problem. There are literally thousands of dresses you can scan to find the perfect dress for your big day. If you can’t find what you want in one store online, all you have to do is zip your little finger over the left mouse button and you’re on to another store. You can search local stores or head out to other shops in other countries without hopping on a plane. The variety of dresses are almost endless. While you’re searching in the particular online platform, you can use the search capabilities to instantly compare prices for certain kinds of dress styles. If you’re interested in a sheath dress with beaded lace, you can add that as a search option as well as limiting the prices that the search engine will bring back to you. This is incredibly helpful for those who are very conscious of their budget for a dress. When searching in a physical store, you’re bound to be assaulted with a helpful clerk who wants you to make a purchase that day. She may be incredibly pleasant, but it can often be overwhelming to have someone pushing you towards a certain style or price of dress based on their own agenda. That will never happen online. While you might be bombarded with sales ads, it’s easy enough to ignore the flashing ads. Often, you want to really concentrate on the dress, and your big day without a pushy sales person on your back. You might not realize that it’s entirely possible to get a deal or bargain on your wedding dress. You’d never walk into a bridal boutique with a coupon, but you can use coupon codes and other online deals to get a great dress for a lower price. You should never be afraid to shop for bargains online. Often, stores will have special deals for those who want to shop exclusively online, too. You might even be able to get great deals on last year’s trends, which isn’t a problem when it comes to wedding gowns. They’re incredibly beautiful, and nobody will care that the style has been around for a year. Many styles are timeless. When you can conveniently shop from your living room, you’re saving time and gas by not having to head into the store. You won’t have to make an appointment, wait in long checkout lines, or run from one shop to the next. Along with saving time, you’ll also be saving gas and your tired feet, too. As you’re shopping for your dress, you might end up making an entire day of it with time and money spent on lunch. If you bring a friend, you may even feel obligated to pay for their lunch, too. When you shop in a physical store, it ends up being a huge drain on your time and money, which might not be what you want if you have a budget. If you’ve ever seen the huge bridal sales with women gouging each other’s eyes out for a deal on a wedding dress, you know how crazy it can be in a boutique. While there won’t always be sales and crowds like that, it’s often quite crowded in a bridal store. You’ll have to wait your turn with the sales clerk and wait in long lines at the checkout. It can hard to get people to help you in the store when it’s busy, too. Most people can only shop on weeknights and weekends, so those are the times they are the busiest. It’s likely that it’s when you’d be shopping, too. Not only can you shop from anywhere, you can do it at anytime. Middle of the night, middle of the day, or early in the morning, it won’t matter when you shop. Stores are always open online. In some stores, you can even get a customer service rep if they have Live Chat in case you have questions. You can ask any questions before making your purchase. While it’s less expensive, it’s also incredibly convenient, too. You don’t have to spend days trying on dresses in a boutique while your entire family watches and makes their opinions known. You can settle on a dress in a style that makes you feel like a princess. With online shopping, your groom-to-be can also be a part of the process without seeing you in the wedding dress before the big day, which can be bad luck. The first step to buying a wedding dress online is to set your budget. Before you start the buying process, check out some of the styles you might like to get an idea of the amount your budget should be. 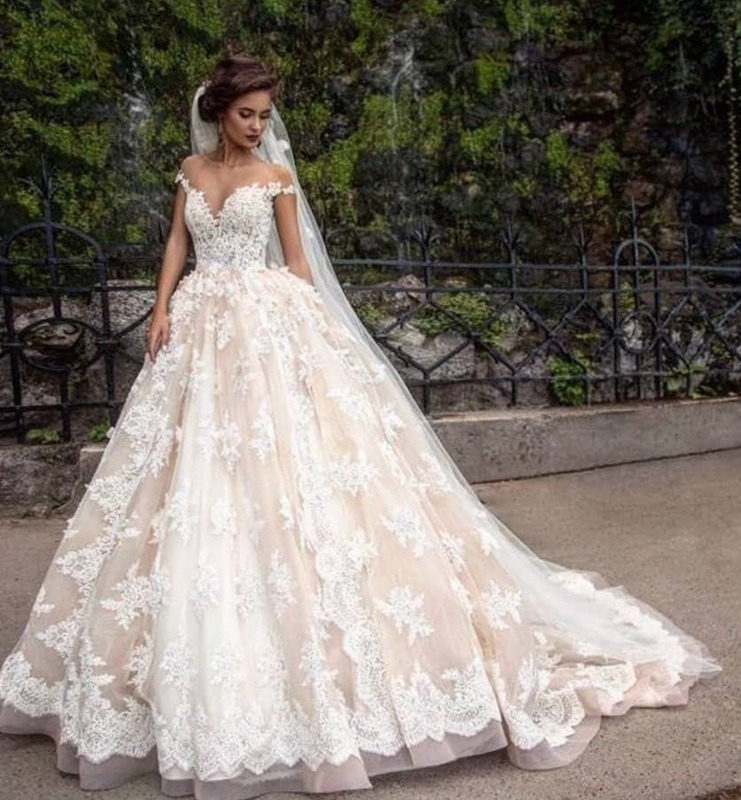 While a traditional gown purchased at a bridal boutique can be thousands of dollars, there are some stunning, beautiful gowns available online for a few hundred dollars or less. Set a hard line of what you’ll spend on the dress, but don’t forget to add in other costs like the veil or a petticoat if needed. If you’re torn about the style of dress that you want, make an appointment at a boutique to try on dresses. You could head to a store that doesn’t require appointments, too. This is where you can decide what kind of length you’d like, the train and the veil style. You might have thought you wanted a sheath style, but after trying on a few you don’t like how they look. You might be surprised to find that you like the ball gown style instead. With this knowledge, you can head to your computer to find the right dress. It’s vital that you do some offline research. While you’re out trying on those wedding dresses to find the style and silhouette you love, learn about the fabrics of the dresses themselves. Run your fingers across tulle, feel the pull of satin and the stretch of lace to learn that some will be stiff while others will mold to the body. You don’t want to make assumptions about the kinds of materials you’ll like until you feel them on a dress. 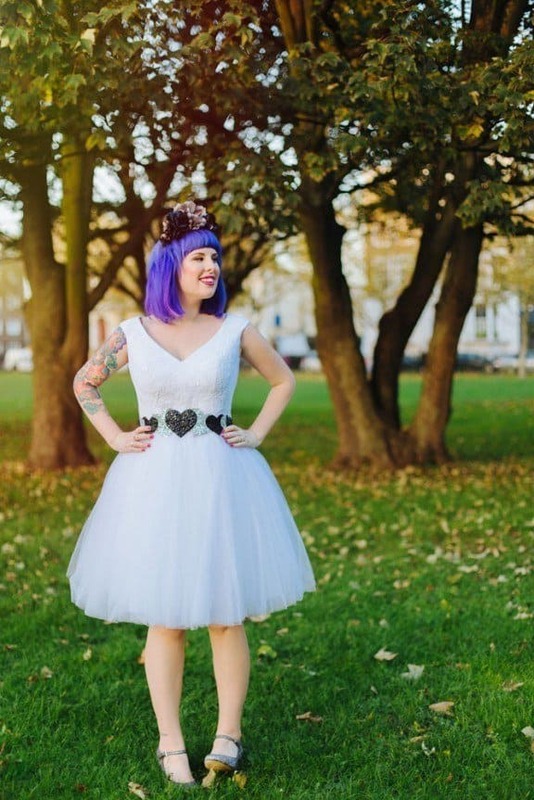 When you’re ready to order your dress, you should be reading reviews regarding the size. 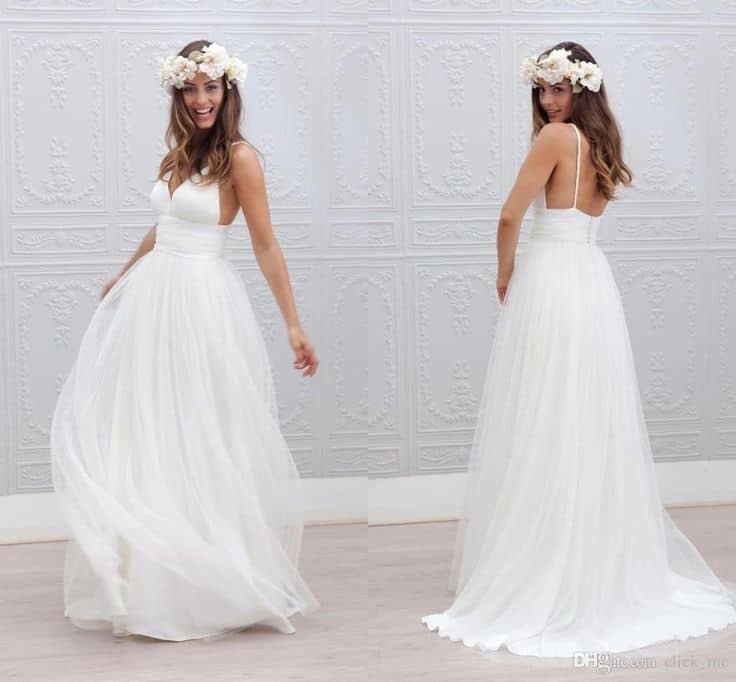 You definitely want to know if other customers received their dress on time and in good condition, but the sizing is one of the most vital aspects of the wedding dress. You don’t want to end up with a dress that is way too small and can’t be altered. Keep those reviews in mind when placing your order and giving your measurements. Before you head to the Internet in search of the perfect bridal dress, it’s vital that you know your exact measurements. 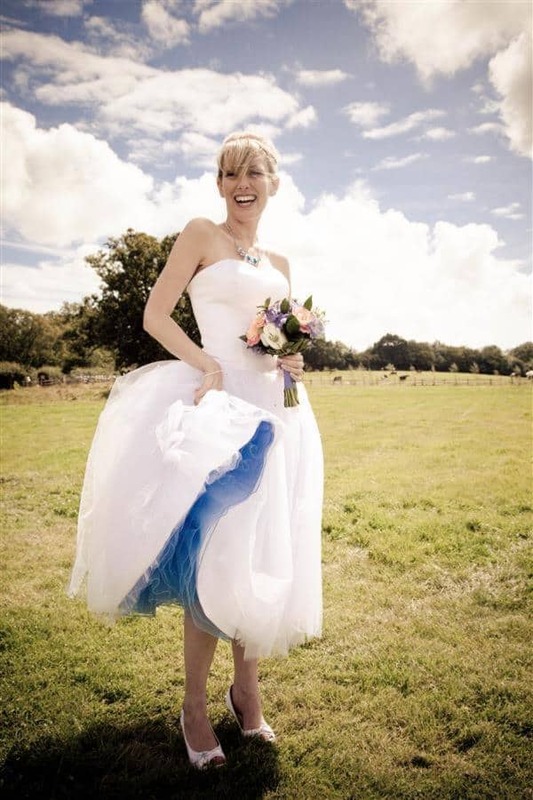 Have a professional measure you and provide the numbers you’ll need for ordering your dress. In some cases, you might have to order a larger size, but you can also have it custom made with the measurements you provide to the manufacturer. When you have more material to work with, it’s easier to create a custom fit in your wedding gown. Never have the dress arrive days before the wedding. You need to have time to try the dress on, and have it taken to a seamstress. Even a custom made dress might need more alterations to have it fit perfectly. You don’t want to have tight places and loose places in the same dress, so make sure you give yourself enough time to have it altered by a professional, which can take a few weeks alone. While you’re waiting for your dress to be delivered, go find a seamstress who will be able to alter your dress in the time limit that’s required. You can start this process without having the dress in your hand. In fact, you should be doing that while waiting. 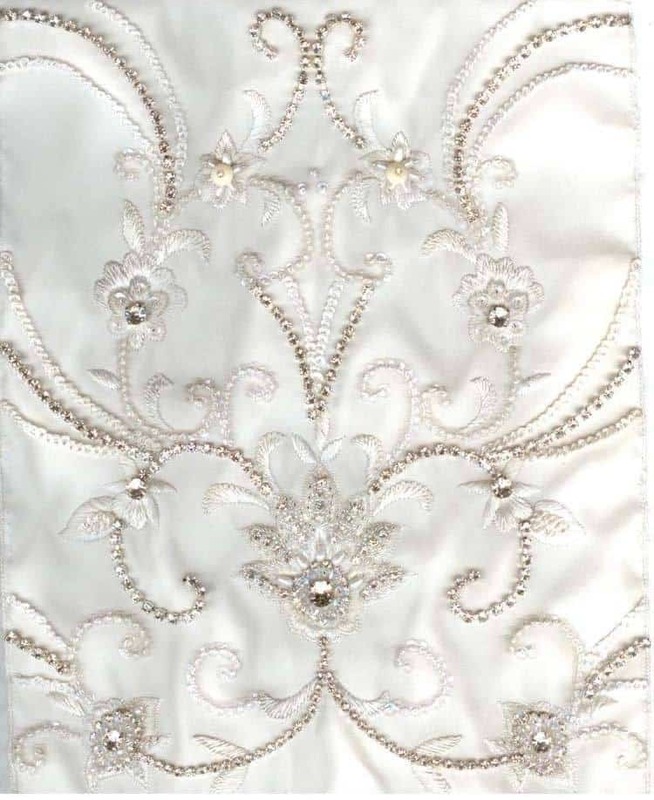 It’ll give you time to check reviews and contact them to find out if they have time in their schedule for your dress. Ordering a dress online is a great way to reduce the budget of the entire affair. While you don’t want to skimp on the one outfit that means so much for your special day, there are other places you can spend thousands of dollars like food or an open bar for your guests. Your dress will be stunning if you follow these tips for buying a wedding dress online.